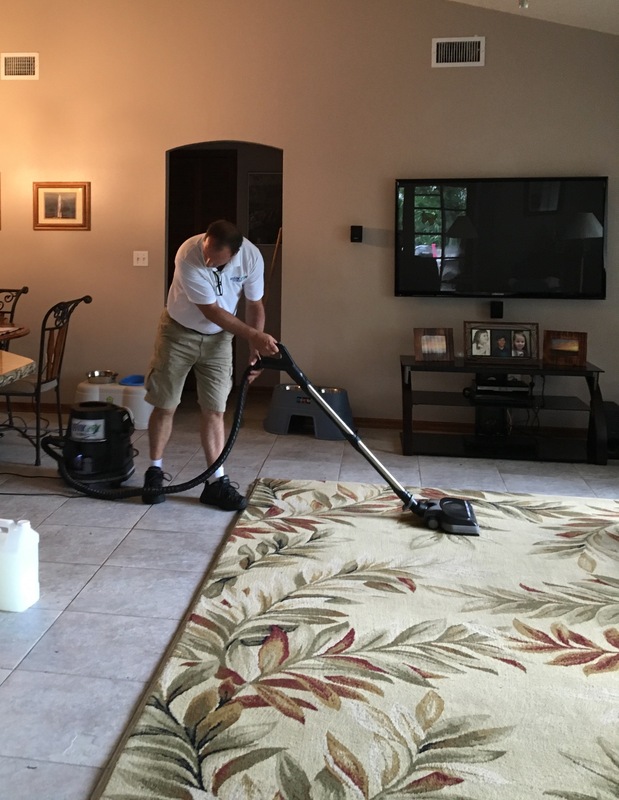 Carpet Cleaning Company Niagara - Kwik Dry is Amazing! 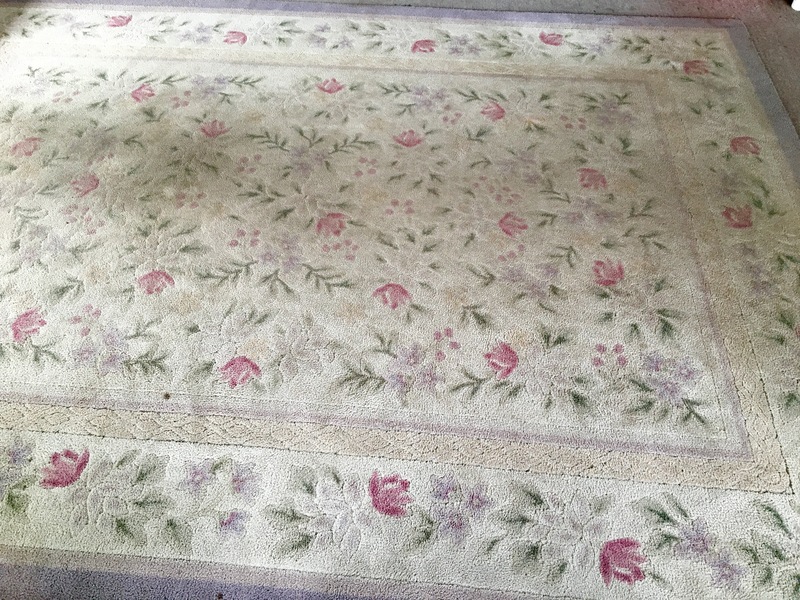 Have you ever seen an area rug outside on someone's lanai or screened porch? 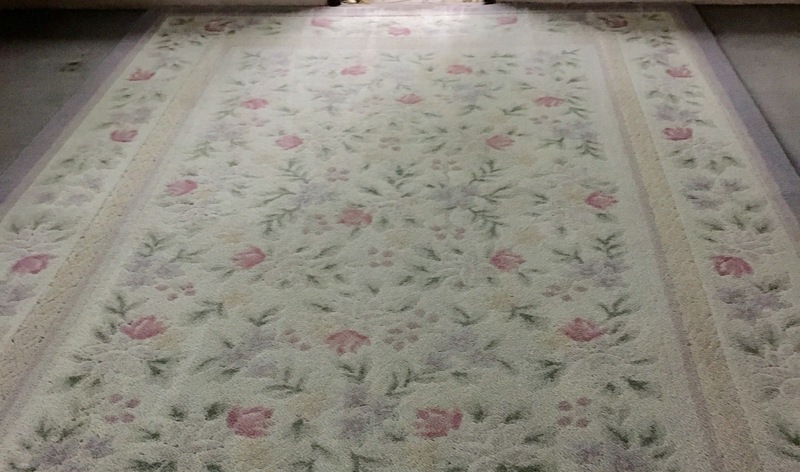 This carpet cleaned by carpet cleaning company Niagara Kwik Dry is 12 years old and is constantly tracked on by two golden retrievers, (Levi and Mav) bringing pounds of dirt and sand in onto the area rug over the years. 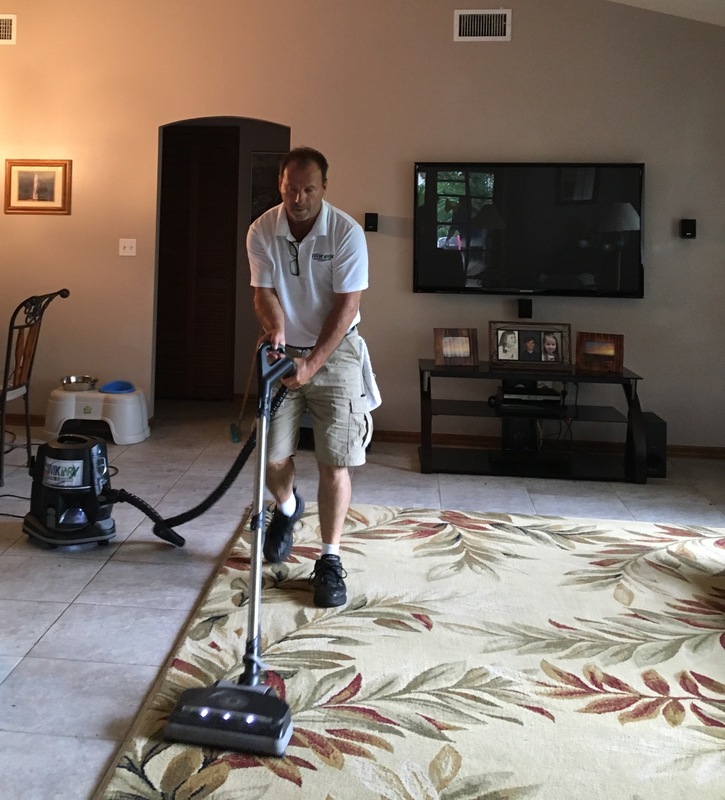 Niagara Kwik Dry carpet cleaner Matthew Sharp had to first vacuum repeatedly, cleaning out the vacuum three times, removing dirt, debris and a ton of sand. 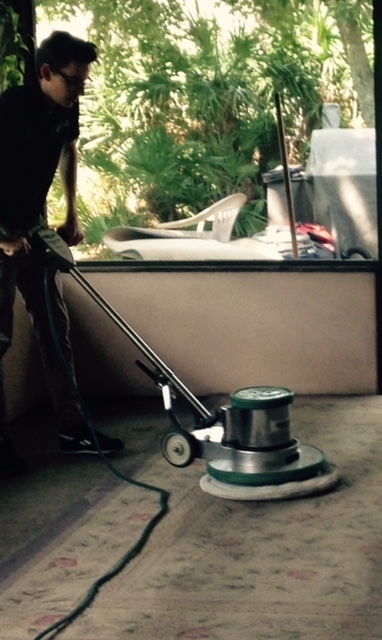 Then our all-natural oxygenated citrus cleaner was liberally applied, immediately lifting stains even before the agitation process was implemented. 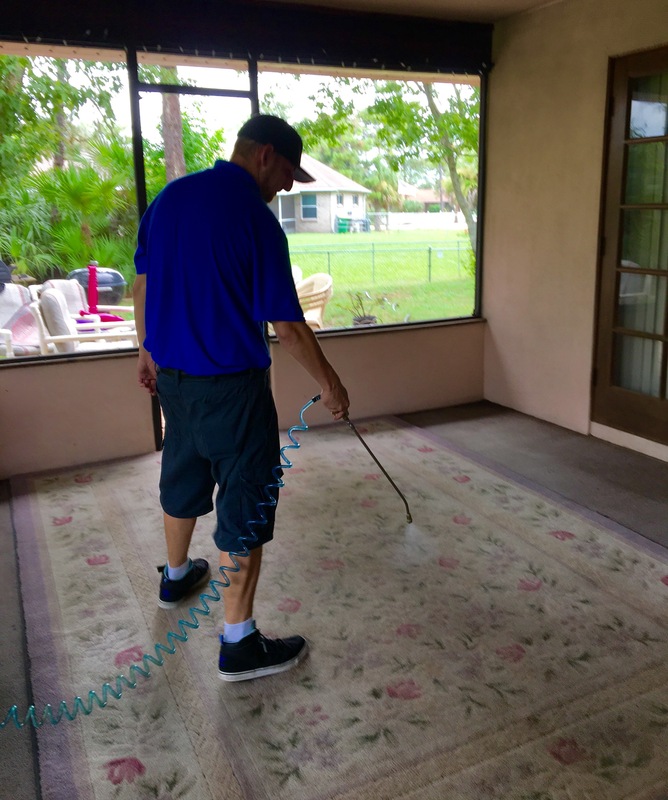 Next Matthew used the rotary brush that loosens the soil, and then bonneted the area rug with our carpet cleaning company's oscillating machine that magnetically draws the soil and solution onto the pad. 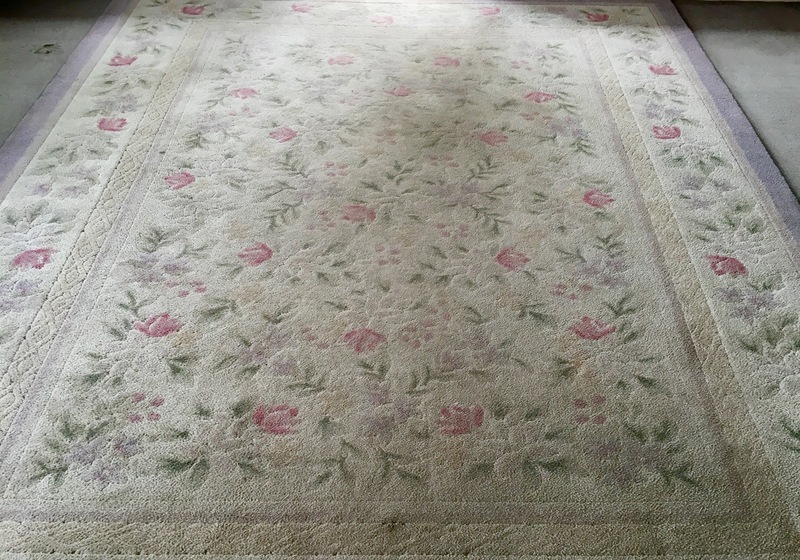 Niagara Kwik Dry then vacuumed and raked the area rug to bring it to an amazingly transformed result. 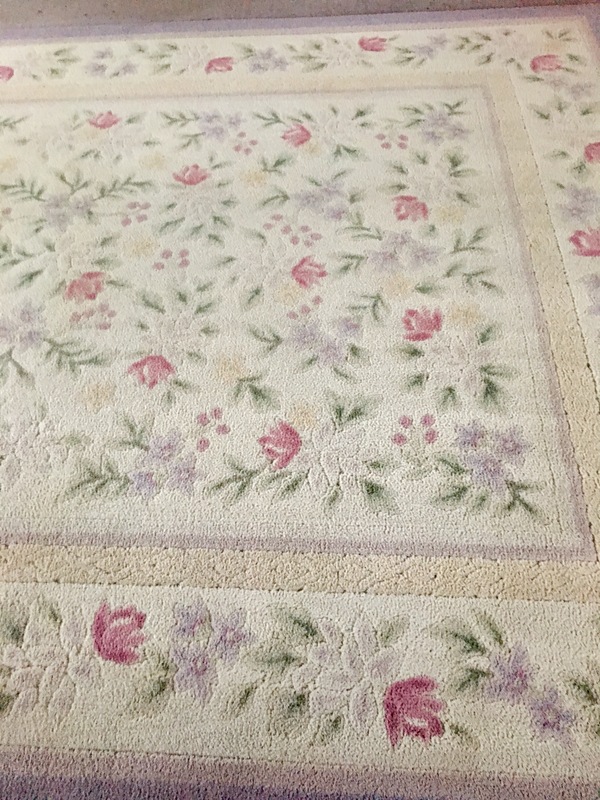 This is the second time that Carpet Cleaning Company Kwik Dry Total Cleaning has cleaned that area rug for this particular customer. 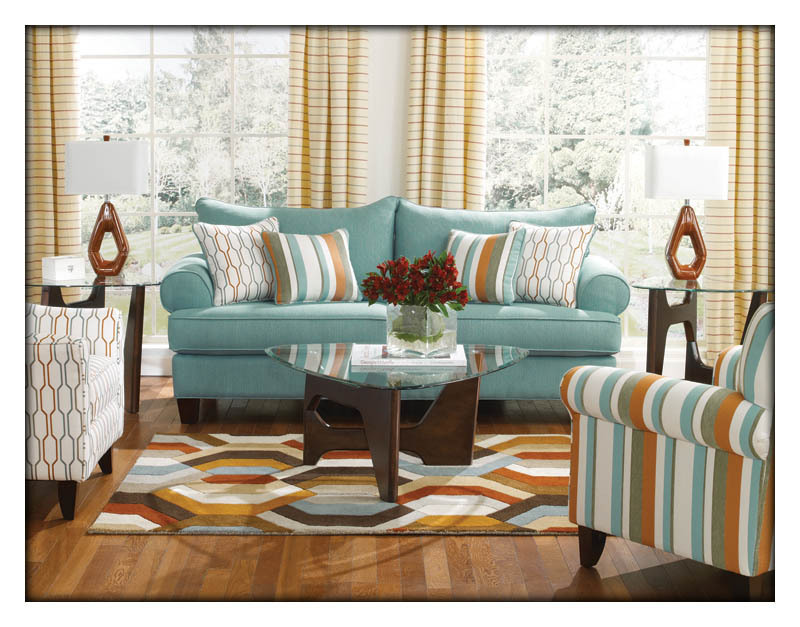 When asked if the lady of the house was pleased, she stated emphatically, "Of course! 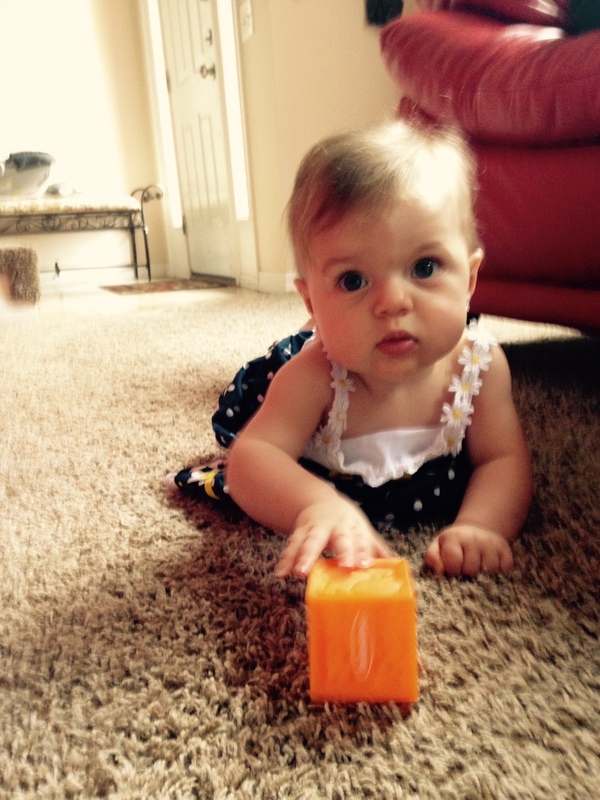 You guys are amazing?" 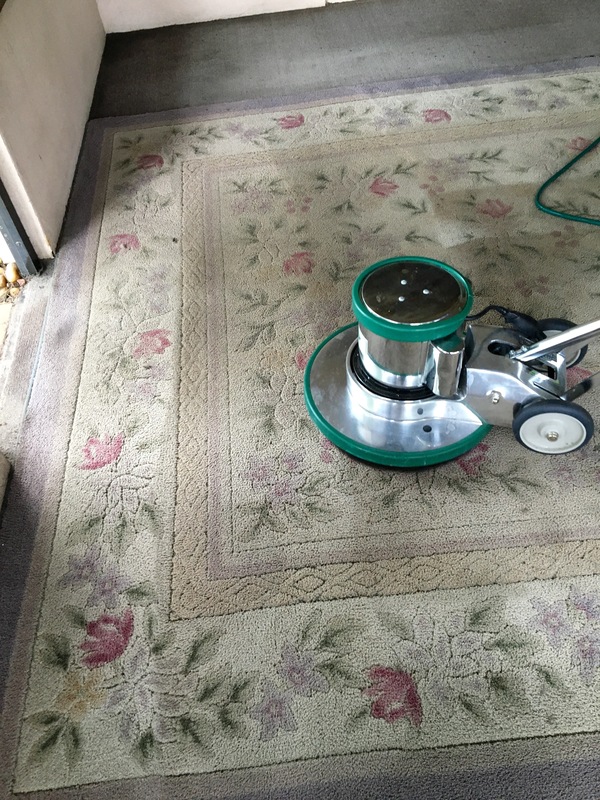 Carpet Cleaning Niagara - After Kwik Dry Cleans Up!